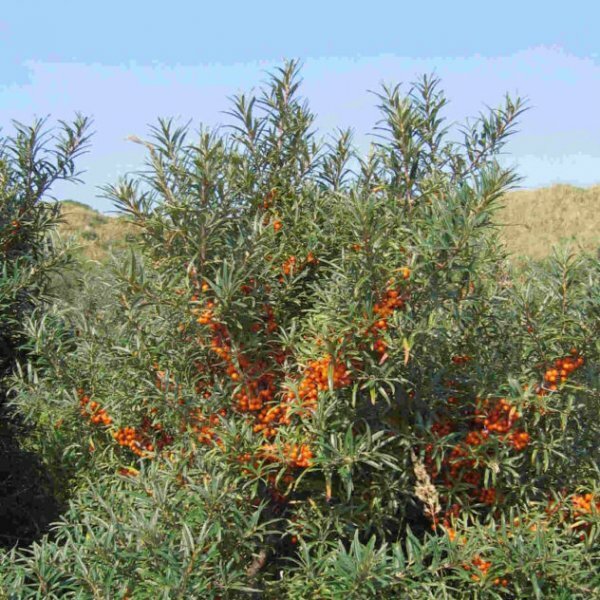 Grow in an exposed or sheltered position in full sun; suitable for the mixed border or in coastal regions use as windbreak, hedging or stabilizing sand dunes. 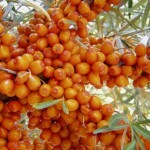 Succeeds in most soils, including poor ones, so long as they are not too dry. Grows well by water and in fairly wet soils. Established plants are very drought resistant. Requires a sunny position, seedlings failing to grow in a shady position and mature shrubs quickly dying if overshadowed by taller plants. Does well in very sandy soils. Very tolerant of maritime exposure. Plants are fairly slow growing. 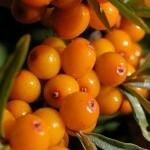 Although usually found near the coast in the wild, they thrive when grown inland and are hardy to about -25C. A very ornamental plant, it is occasionally cultivated, especially in N. Europe, for its edible fruit, there are some named varieties. 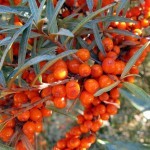 Male and female plants must be grown if seed is required. The sexes of plants cannot be distinguished before flowering, but on flowering plants the buds of male plants in winter are conical and conspicuous whilst female buds are smaller and rounded. Plants in this genus are notably resistant to honey fungus. Information sources: Royal Horticultural Society, www.pfaf.org. Germination 1. Soak in water, let stand in it for 24 hours. 2. Cold / moist stratify for 60 days in dampened peat or sand, in a plastic box or bag at +4-+5C in a refrigerator. The seeds should not be frozen or in a wet medium. 3. Tamp the moist well drained soil and sow stratified seeds almost on surface – 1 mm deep. Keep at +15C temperature. 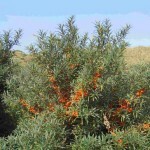 Hippophae rhamnoides seeds will usually germinate in 30-180 days, even under good conditions germination may be erratic.